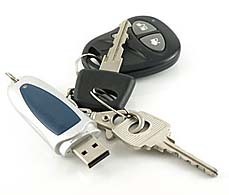 Create password protected CD/DVD/BD and USB Flash Drives with large amounts of sensitive data. 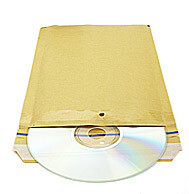 Encrypted CD can can be safely sent via regular postal mail. Work with encrypted CD without continuous period of data decryption. No need to decrypt files on CD/DVD/BD before use. Simply enter password and work with any document as usual. Send a disk through the mail to a third party and they do not need to buy Master Voyager, because each encrypted disc has own autoplay module. The third party user simply needs to insert the storage media to their host computer and enter the password to work as they would with any other CD. The only requirement is to have Windows 8/7/Vista/XP installed (both 32 bit and 64 bit are supported). Use encryption to send Compact Discs via regular postal mail. 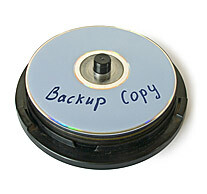 Create encrypted backups on CD/DVD. Encrypted discs can be kept in public and insecure locations. In the event of theft of loss, encrypted compact disc with confidential information on it will remain confidential. Ultra secure data confidentiality. Master Voyager uses strong encryption of all data utilising AES 256-bit protection which is used to protect the most sensitive information of the U.S.Government and commercial organizations including banks. Master Voyager includes embedded CD/DVD/BD burning module to create encrypted DVD or CD discs. Simply select files/folders you need to securely store on any mainstream storage media and let Master Voyager do the rest. Back up your sensitive data on encrypted compact discs. You are never at risk of losing business information, as it remains in the encrypted form. Create password protected usb flash drives. Drag and drop files between regular folder on internal hard drive and secure zone on encrypted USB Stick. Create unlimited number of protected usb sticks. No artifical limitation to the number of protected media. Use encrypted flash drive on another computers. You do not need to install any software on other computers. Encrypt your USB Flash Drive. Connect it to usb port and enter password. Copyright (c) 2014-2008 InterCrypto Software. All Rights Reserved.